Jo Kelly is an award winning singer songwriter and qualified Ayurvedic practitioner. She teaches and practices mantra chanting, harmonium, yoga and Ayurveda. Jo was awakened to her spiritual path in 2005 by Sri Sri Ravi Shankar (The Art Of Living Foundation, India) where she discovered pranayama, chanting and devotional music. She fell in love with the healing sounds, exotic instruments and classical mantras that touched her heart and helped her find inner peace. Since India, Jo’s music and singing has become deeply inspired by the loving healing powers of sacred sound and she’s recorded a range of CDs for yoga and meditation under her brand ‘Cafe Mantra’. 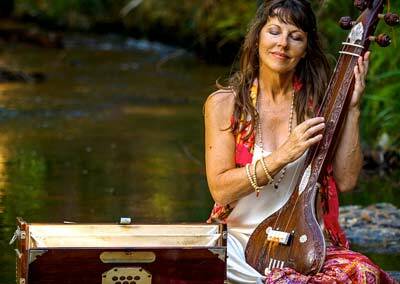 Jo travels throughout Australia and overseas to festivals, yoga retreats and events to share the sounds of spirit and the science of mantra with yogis worldwide. What i do not understood is actually how you’re now not actually a lot more well-liked than you might be right now. You’re very intelligent. You realize therefore significantly relating to this topic, produced me in my view consider it from numerous varied angles. Its like men and women aren’t involved unless it’s one thing to do with Lady gaga! Your personal stuffs excellent. Always care for it up!